Gartner Magic Quadrant for ITSM Tools. Looking for the ultimate ITIL Service Management solution? 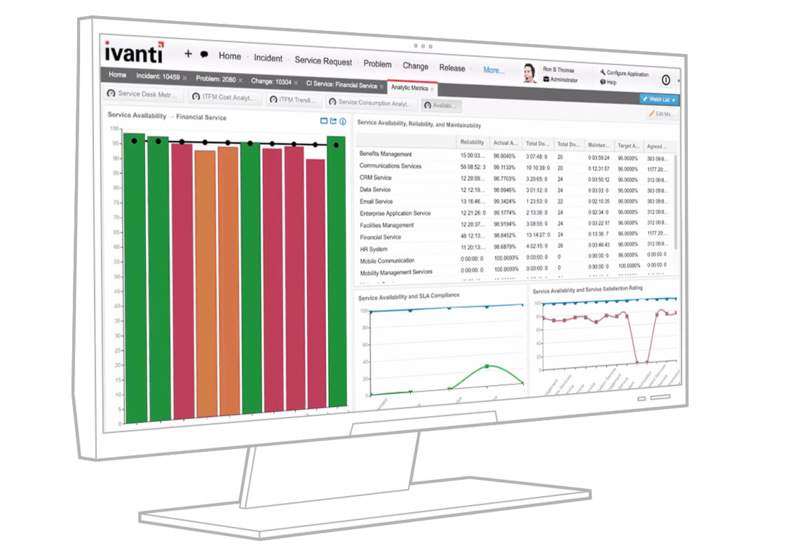 Ivanti Service Management (powered by HEAT) adds Release Management, Event Management, Availability Management, Financial Management and Portfolio & Project Management to the functionality included in Ivanti Service Manager’s Service Desk. All this, delivered from the cloud, so both IT and users enjoy automation anywhere and efficiency everywhere. Ivanti allows us to continually improve our environment. Achieve the highest levels of service quality, delivery, and performance to meet your ITSM challenges and better deliver on the needs of the business. Track mean time between failure (MTBF) and mean time to repair (MTTR) for assets and services, as well as report service availability against service level agreements. Address the entire release cycle, from creation and planning to communication and rollout leveraging either manual or automatic change capabilities. 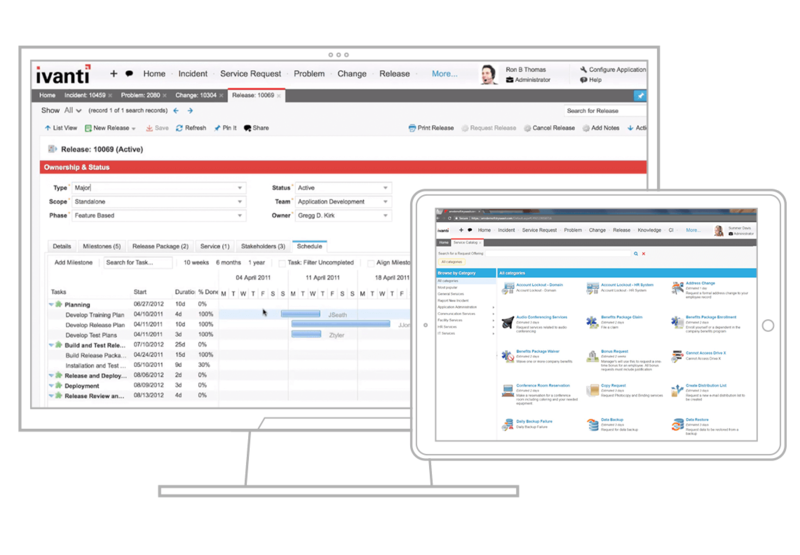 Maximise resource utilisation, reduce errors and costs by managing projects on one platform for a single source of truth, and increase focus on more strategic initiatives. Take immediate advantage of industry best practises with these 13 certified ITIL processes. Modular offering on a modern platform ensures you have the rightsized tool to meet new needs.